Schedule 1. Population of Russia in 1990, 2000, 2005 and 2008-2013 and forecast for 2014-2016, mln. people. Schedule 8. Dynamics of the GDP of Russia in the current prices in 2004-2013 , and forecast for 2014-2016 , bln rub. Schedule 9. Dynamics of investments into the stock capital of the RF in 2004-2013 and forecast for 2014-2016 , bln. rub. Schedule 13. Dynamics of investments into special economic zones in 2006-2013 (as of 01.10.2013), mln. rub. Schedule 35. Dynamics of volume of Russian export of special purpose transportation means in cost terms in 2009-2013, thous. doll. Schedule 43. Dynamics of volume of Russian export of refrigerated trailers and semi-trailers in cost terms in 2010-2013, ths. doll. Schedule 61. Dynamics of average Russian producers' prices for chassis for trucks, including similar special-purpose transportation means by months in 2012 – Feb 2014, rub/unit. Schedule 64. Dynamics of average prices of Russian producers for autocranes by years in 2012-2013, rub/unit. Diagram 37. Structure of export of special-purpose transportation means by types in cost terms in 2013, %. Table 48. Volumes of Russian export of tank trailers an tank semi-trailers in cost terms by countries of destination in 2010-2013, ths. dollars. Table 68. Dynamics of average Russian producers' prices for chassis for trucks, including similar special-purpose transportation means by months in 2012-Feb 2014, rub/unit. Table 71. Dynamics of average prices of Russian producers for urban utility services by months in 2012-Feb 2014, rub/unit. Table 116. Cash flow statement of GAKZ, OJSC , thous. rub. Table 122. Cash flow statement of PO SPETSTEKHNIKA POZHAROTUSHENIA, CJSC, thous. rub. Table 123. 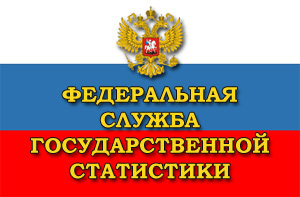 Dynamics of financials of PO SPETSTEKHNIKA POZHAROTUSHENIA, CJSC, thous. rub.